This is coming almost a year after the release of his last song titled "Blessed". He has been working behind the scenes doing collaborations with gospel heavy weights like Frank Edwards, Joe Praize, Sokleva (Rooftop Mcs) to mention a few. He also was a part of the award winning "Arrival" song performed by the BLW Rap Nation which has gone viral. 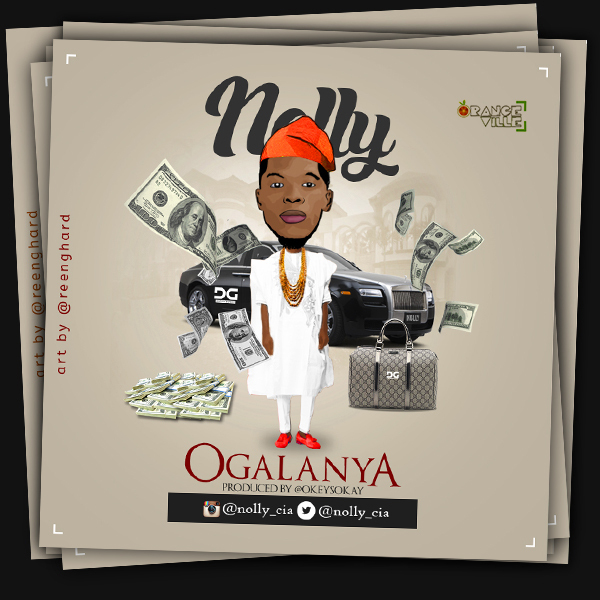 Nigerian born, international rap artiste NOLLY aka Son Of the Most high releases a brand new single and he calls this one Ogalanya which means "Wealthy person" in his native igbo dialet. He gives us the definition of a real ogalanya,rapping in igbo and English as well on this groovy afro hip hop tune Produced, mixed and mastered by the phenomenal Okey Sokay . Download enjoy and Spread. This track was produced by @OkeySokay. Nolly and OrangeVille Music sincerely appreciates your support and love over the years God bless you!! !